Another exciting update here, this time it’s about the Death Wish Kickstarter video! I have been working closely with Alasdair Purkis (professional photographer and video guy at Adtrak) who has directed, filmed and edited the video. 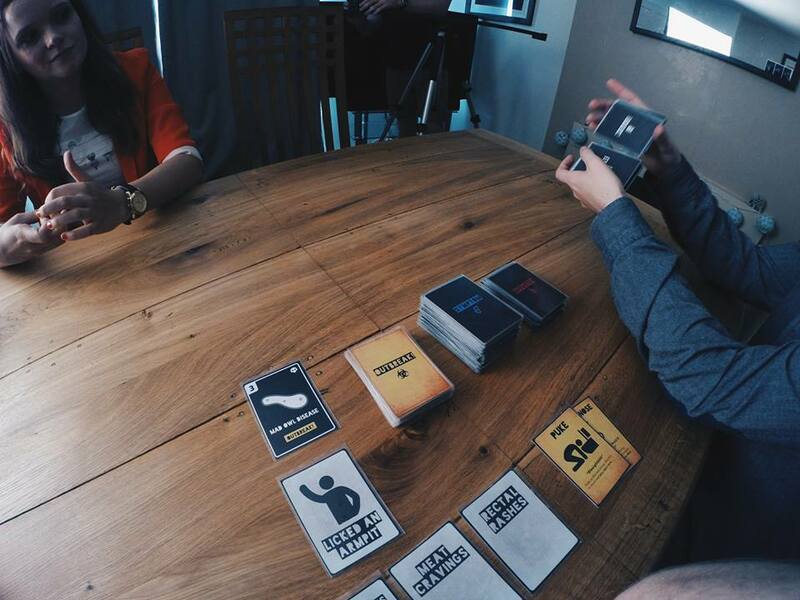 It started with us both bouncing across some ideas, some of which involved a news flash or an autopsy but we agreed on the idea of a group of deceased players who had fallen victim to the card game. After this, Alasdair then proceeded to mock up some storyboards to add some meat to our idea. We booked in some some dates for the film shoots, obtained some costumes and asked some friends if they could “act dead for a video” (they were delighted, of course). The shoots were split into two separate sections filmed on different dates. 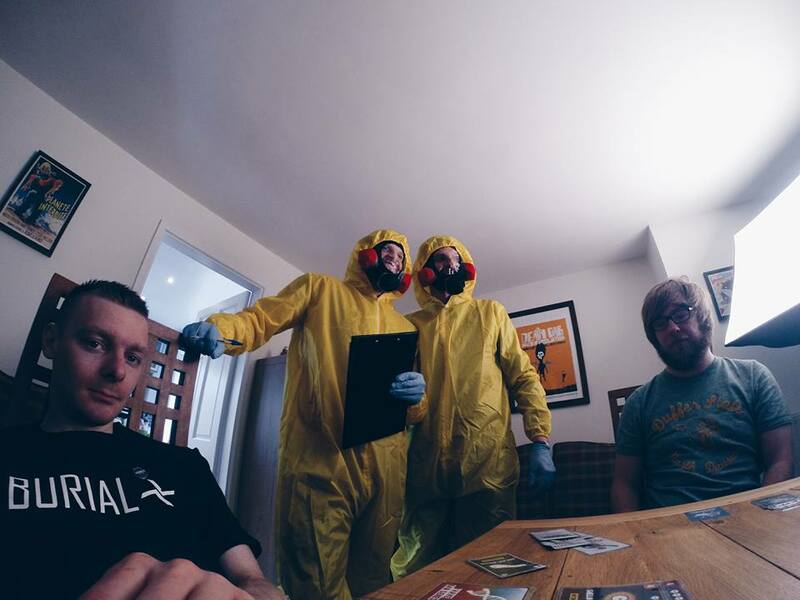 The first was the opening narrative based in my living room and shows two hazmat guys assessing a room of dead players. 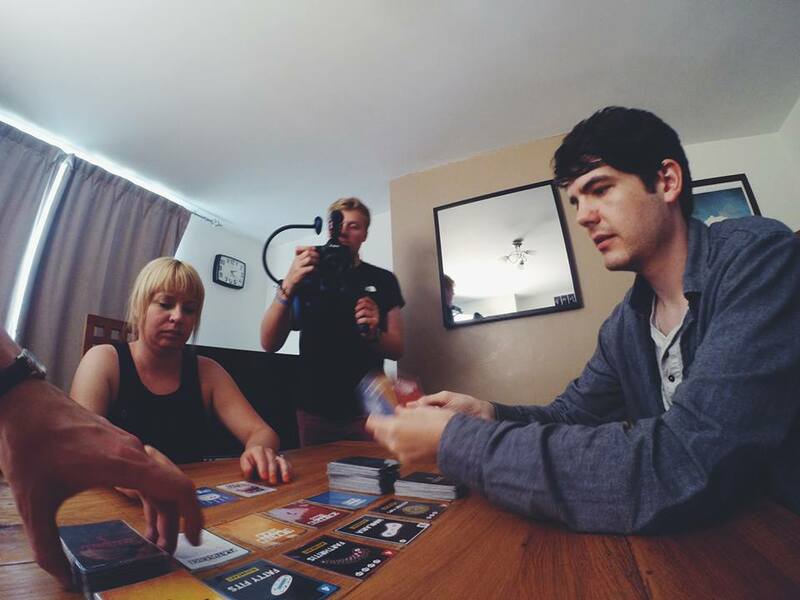 The second half was filmed in a studio with a dialogue introduction to the game, the gameplay and more about crowdfunding. I’m thankful to have some great friends who agreed to be filmed playing and acting dead for the set (Sarah, Mike, Naomi, Dave, Martin and McGeagh). Also, a thanks for my friend, Dan, who was kind enough to lend us some (uber realistic) hazmat suit costumes from his fancy dress shop business. 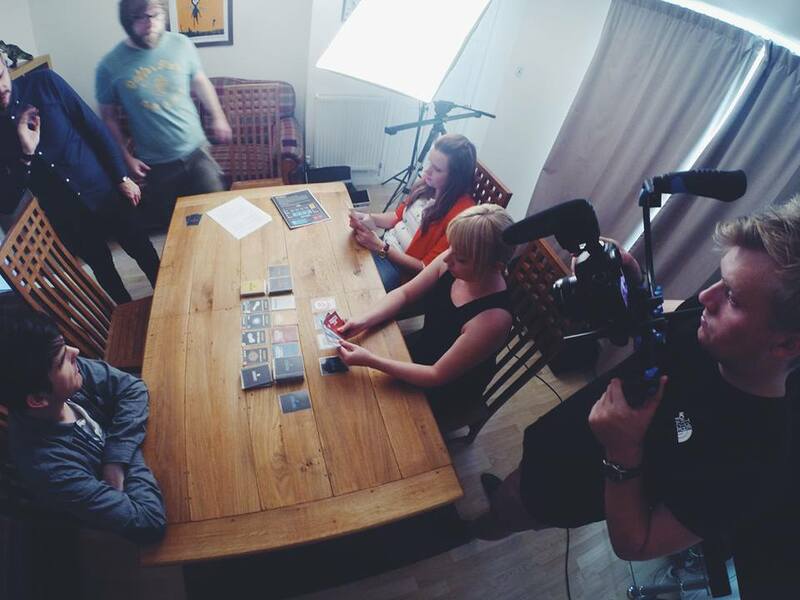 Below are a few shots from the set to give you a bit of a taster, keep a look out for the final video! More updates to follow soon, folks.